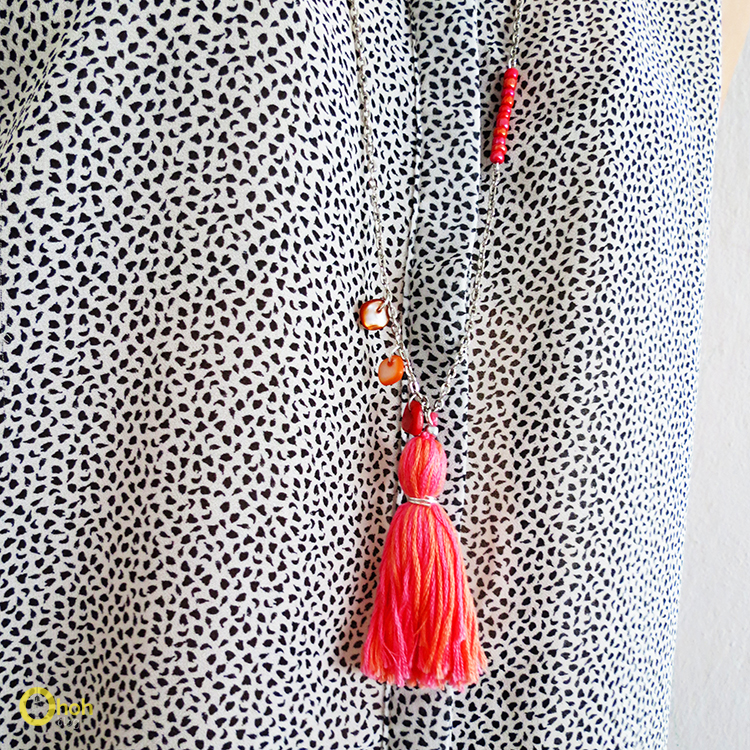 Today I show you how to make an easy peasy tassel necklace, the perfect accessory for this summer. 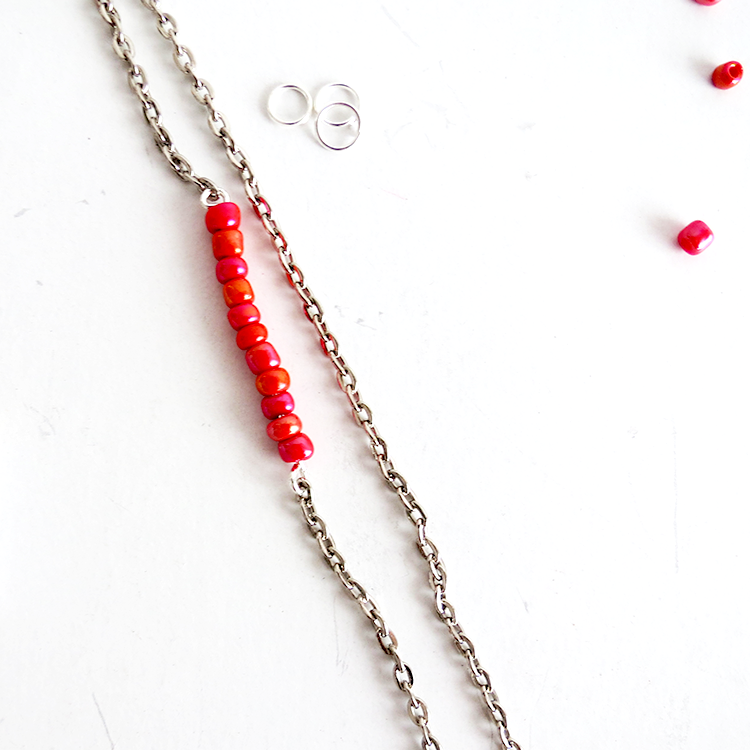 You can make it in any color, it will bring a bright touch to any outfit! 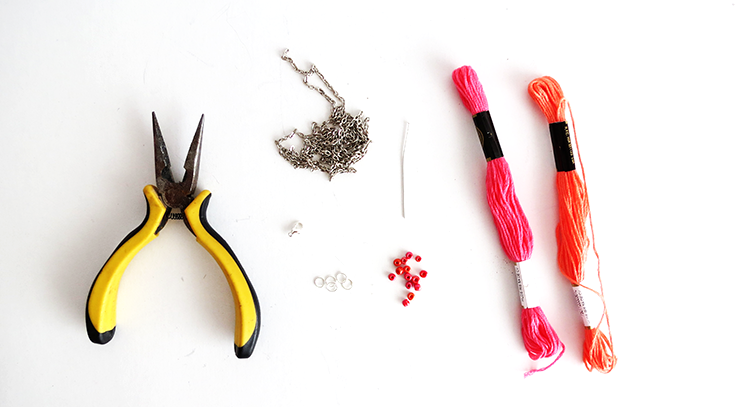 Supplies you gonna need: Chain, clasp, rings, beads, jewelry pin, embroidery thread and pliers. Puts the beads on the jewelry pin and fold the ends to make loops. Hook each loop with the chain. I choose two matching embroidery thread to make the tassel. Cut a piece of cardboard and wrap the thread around it. With an other piece of yarn make a knot on the top. Cut the bottom threads. 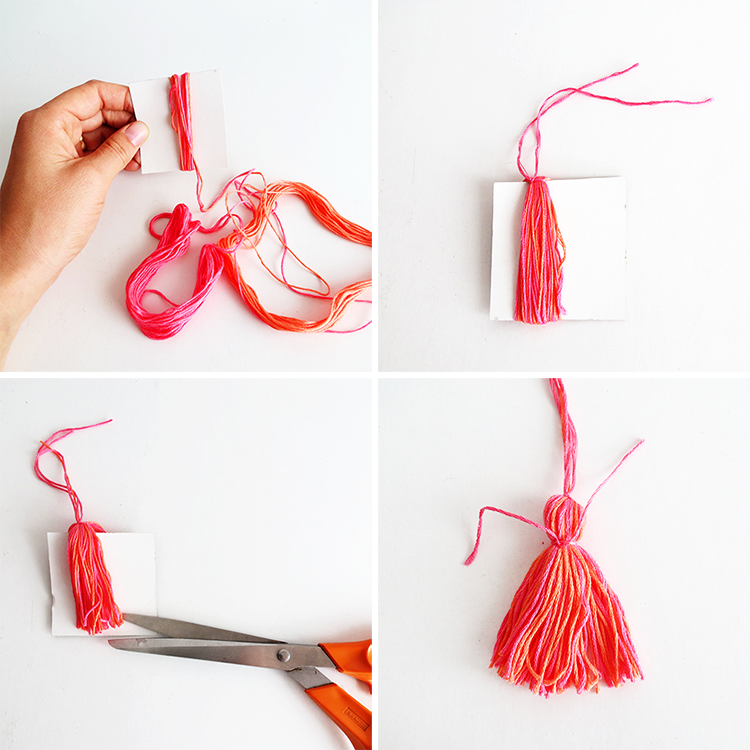 Take an other piece of yarn and make a knot around the tassel to attach all yarns together. Put a ring in the chain and attach the tassel on it with a knot. 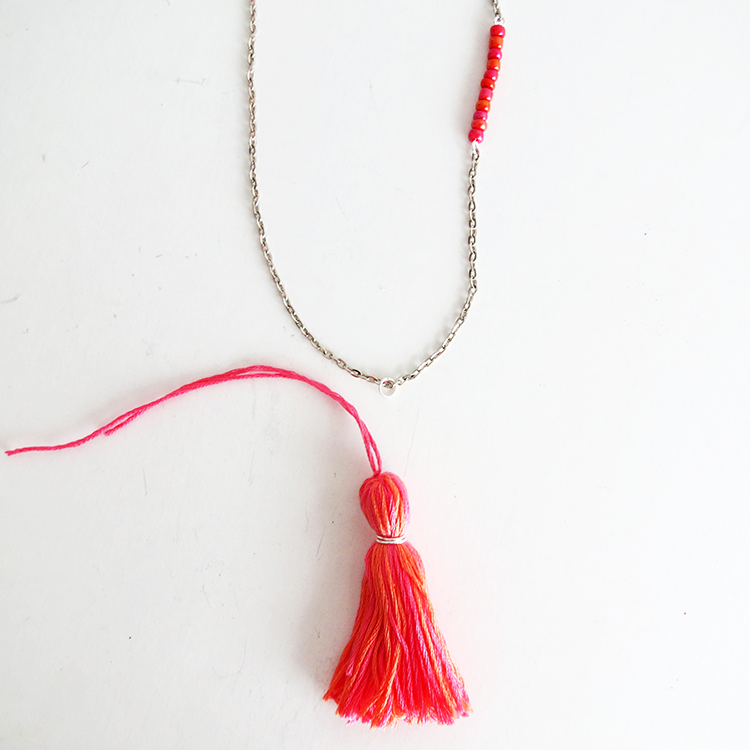 I wrapped a piece of jewelry wire around the tassel…. it gives a nice finish look. Attach a few matching color beards on the side of the chain. And done! Easy! I love it and I think of doing more in different colors. Which color would you like to wear? 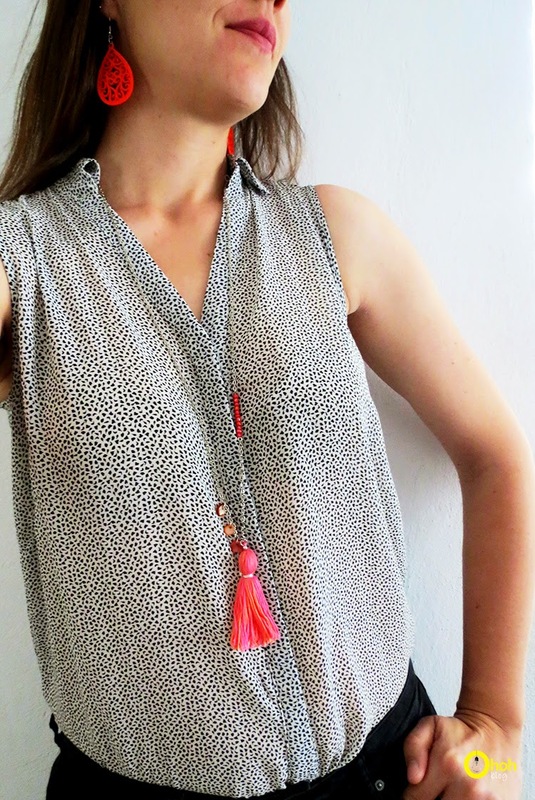 With the same spirit, you will probably love these neon earrings and this summer cocktail pendant! So pretty! Thanks for the tutorial… you've inspired me to dig into my bag of embroidery floss! Thanks Ann. I hope you will have fun crafting, and I would love to see your necklace! Hi Sandi, I'm glad you like it! 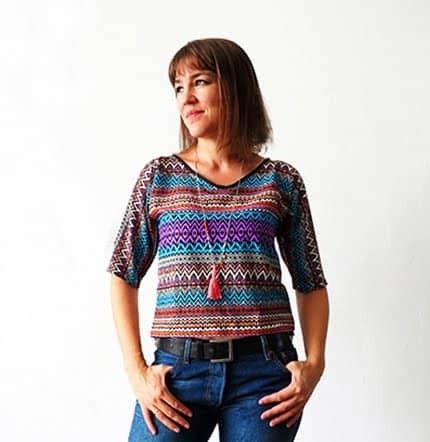 It's totally ok, and I would love to see your finished necklaces! Have fun! This is so adorable! 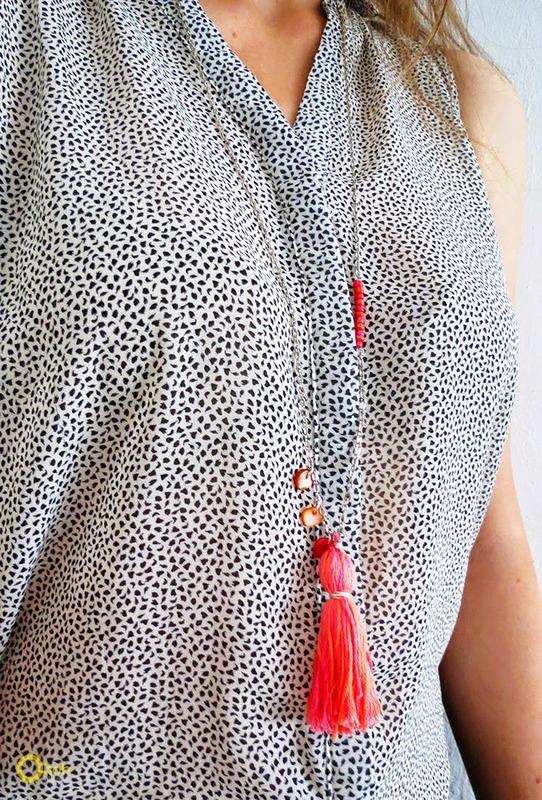 I've seen tassel necklaces a lot this summer, but most of them were overpriced. This is a great alternative! 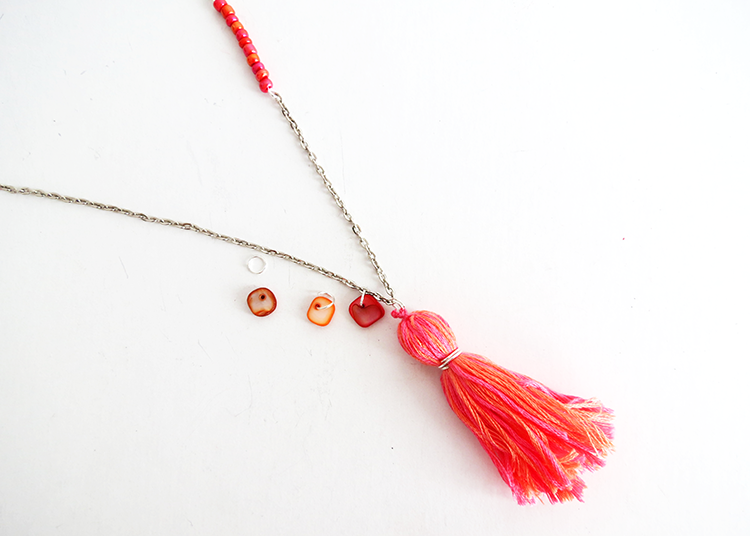 I'll probably end up making an orange and yellow tassel necklace or a blue one. Hi Alyssa, I'm glad you like it! The hardest is choosing in which color you want it! I love your earrings too. Howled you make them? Hello, For once I didn't make the earrings! I was a gift!